VEIR Corp personnel has managed the removal of UST's. for over 25 years. We remove and decontaminate UST's. 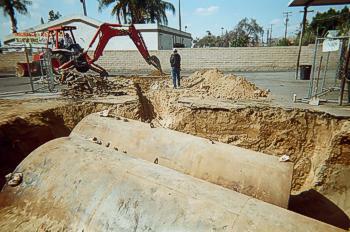 Our technical staff is familiar with all aspects of underground storage tanks, ranging from soil testing, contractor supervision while directing the removal of UST's., and the remediation of impacted soil and groundwater.